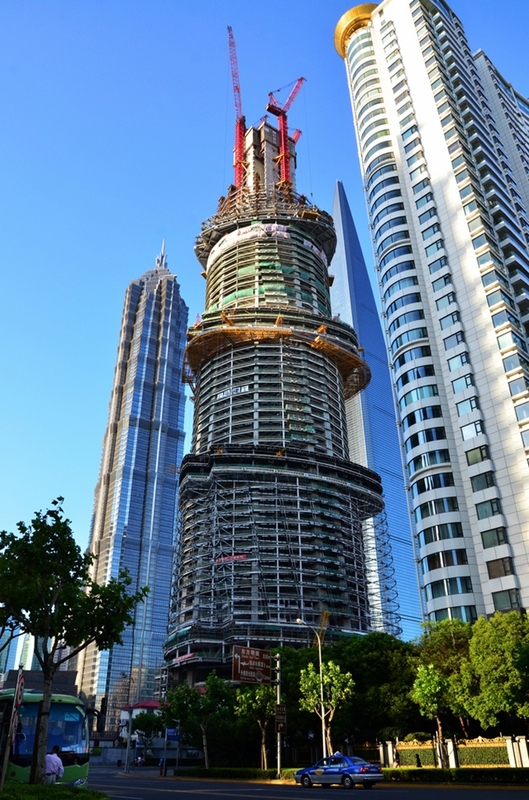 Shanghai Tower, China's tallest tower under construction which should be the second tallest skyscraper in the world when finished and the tallest tower in Shanghai, is already clearly visible in the Shanghai's skyline. 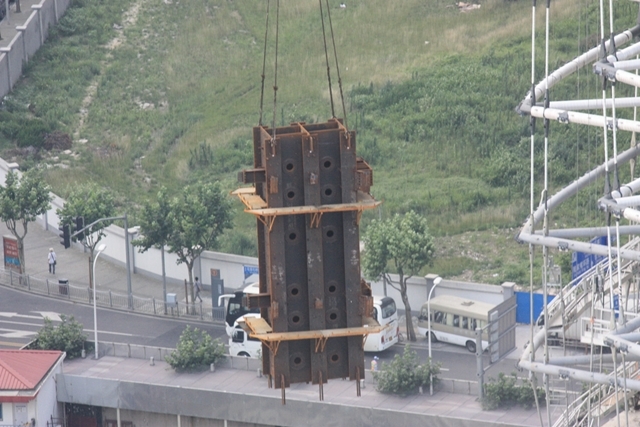 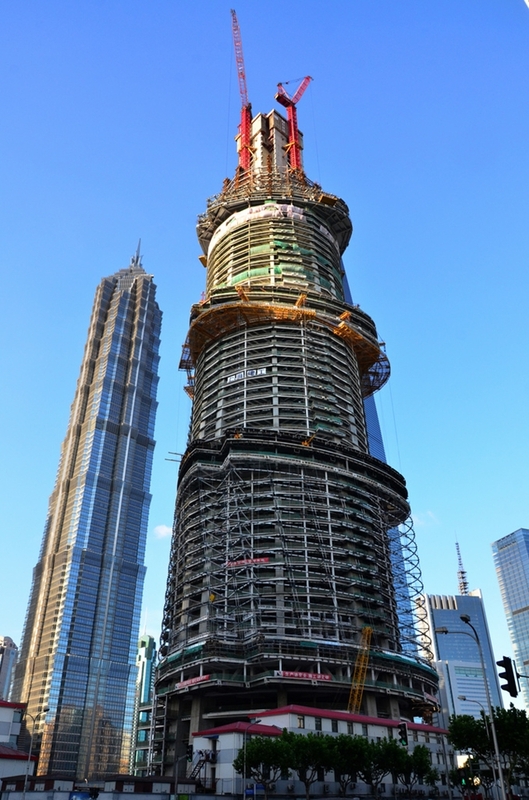 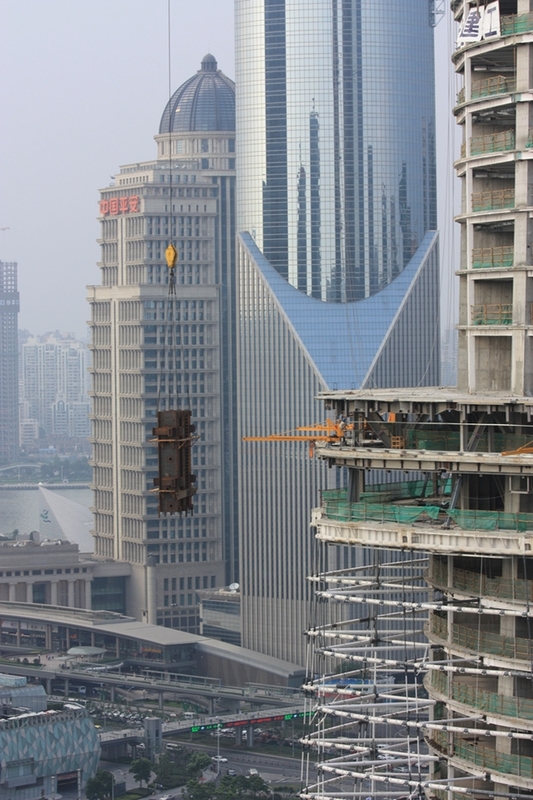 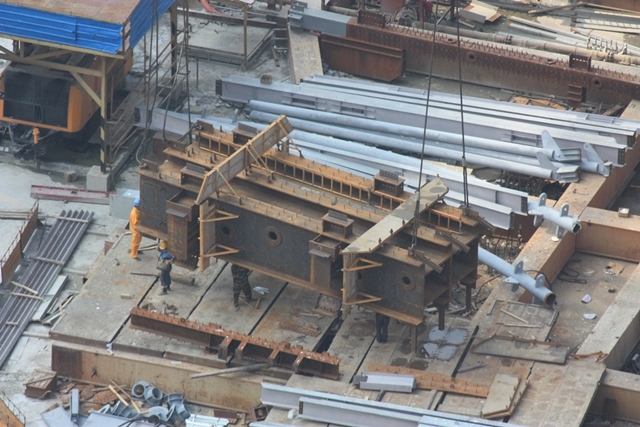 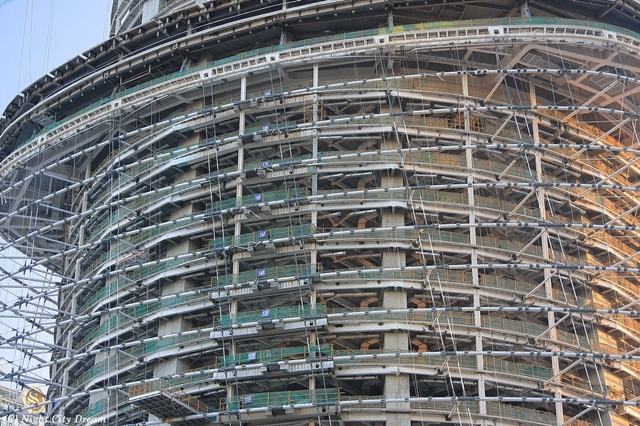 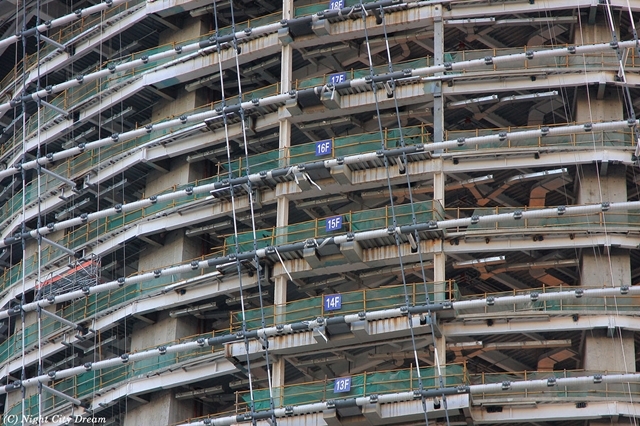 We thought it's about time to show you Shanghai Tower's construction progress. 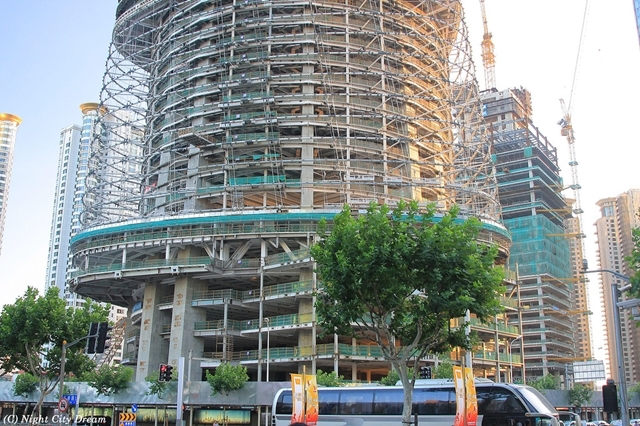 Central core reached 70th floor and the glass facade installation just started a few days ago. 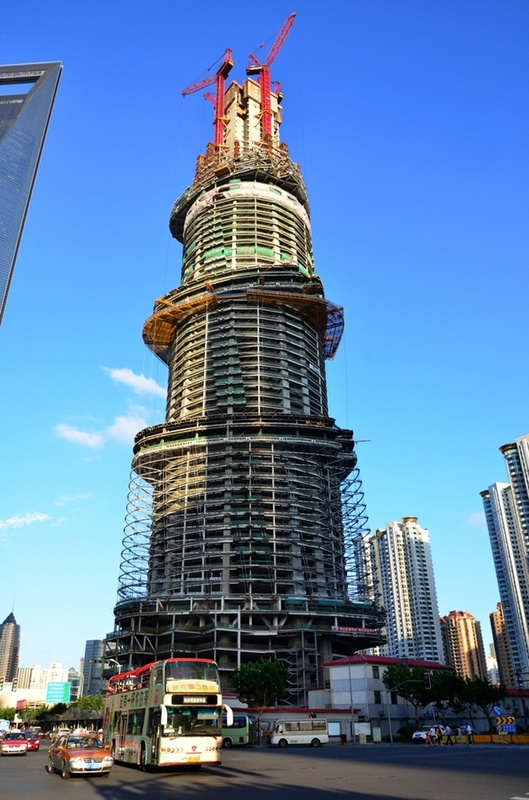 Just a reminder, Shanghai Tower will have two layers of glass facade, inner and outer layer which is made because of sky parks built all the way to the top. 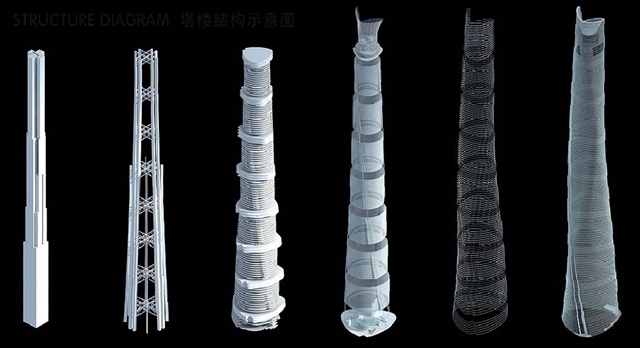 Below is illustration from the architects, Gensler Architects, showing the structure of this skyscraper. 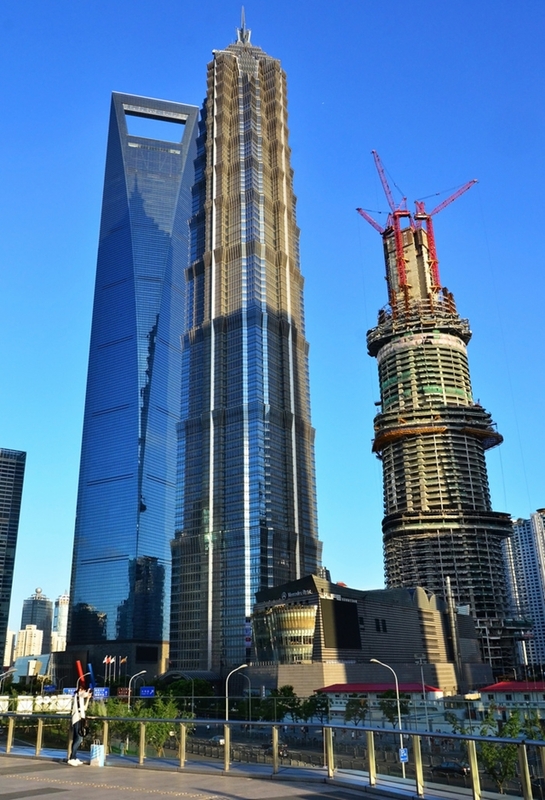 Read more about Shanghai Tower here on our website under "Big Projects We Follow" category.